Even after all this time, it still puzzles me how much my daughter likes to read. She can go through whole novels like there’s no tomorrow and then want more. I’m so glad we’ve made the switch to borrowing digital titles from the library versus paper copies, as those hefty library trips were killers and the inevitable overdue fees were no joke. Ebooks are so great if you have avid book lovers in the house. 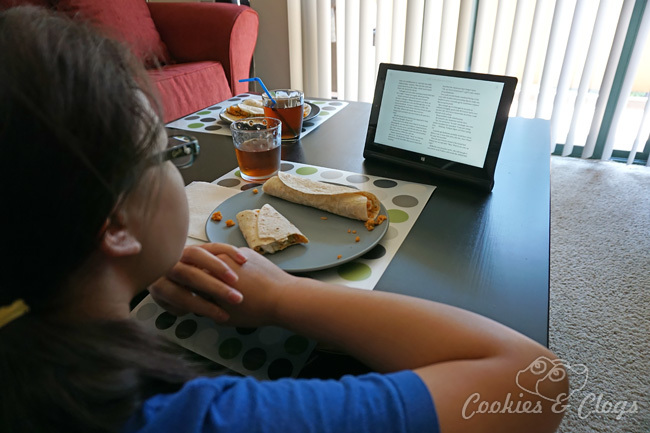 Even when she sits down to eat, Munchkin passes the time with reading. 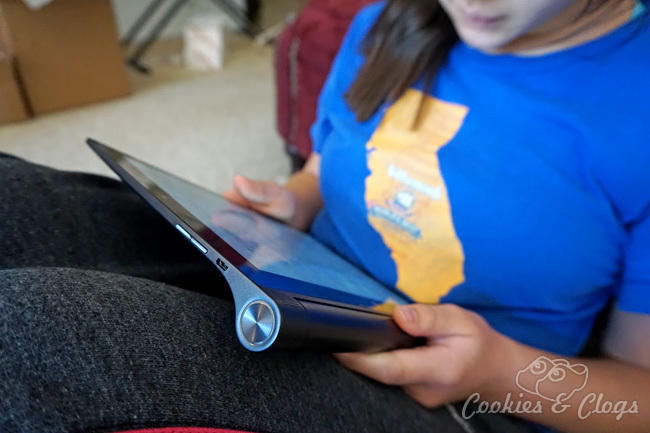 Fortunately, the Lenovo Yoga Tablet 2, one of many Intel Tablets, comes with a sturdy built-in stand. The screen resolution is absolutely amazing so reading is easy on the eyes. The switch from paper was pretty easy for Munchkin. She always thought library books smelled funny and sometimes she would find what looked like dried boogers stuck in them. Yes, for our little germaphobe, digital is definitely better. She still likes the feel of an actual book in her hands but the shape Yoga Tablet 2 makes it a pretty nice substitute. I love that our library has an ebook section for members. We can just borrow the book, send it directly to our Amazon Kindle account, and then access it via the Kindle app . The only problem we face now is finding more titles for her to read. Munchkin has read everything in the digital library collection that suits her interests but isn’t too kiddish. Most books for her age and reading level (which is about three grades higher than her current grade) are all about boyfriends, vampires, etc. What Young Adult titles would you suggest for her to read next?